Paul Janson is a freelance agent. For many years, enough to have earned himself an incredible reputation as a man who got the job done as well as one that should not be messed with, Janson was an operative with the State Department's Consular Operations, a division designed to be brought in when diplomacy is not getting the job done. The agents for this group know that the powers that be in their chain of command do not like to admit that talking did not work so the quicker and surer this department gets the job done, the better. Janson was very good at getting the job done, especially when that job meant killing. Before his days as an agent, he had served with the Seals. This was during the Vietnam War and this branch of the military was looking for the very best they could find. Janson fit that perfectly. One of his instructors, a highly decorated warrior named Demarest, was looking for those even better and he selected several to go through training even more rigorous as that of normal Seal training, if such a thing was possible. As the few thus picked endured the instructions, they got harder still, forcing the men to drop one by one until just one remained, Janson. In action, Demarest demanded the utmost from his men and Janson gave it. Because Janson was the lone graduate of the extra training, he got the hardest assignments in the jungles and he always came through. Quickly, though, he came to realize that his boss was starting to lose it and was putting his men into harm's way when it was not neccessary. When Janson called him on it, Demarest saw to it that he was put in a position to be captured and he languished for eighteen months as a POW. When he got away, he turned his boss in and quit to go back to school. Excelling there as he did in the military, he earned a fellowship to study at Cambridge and it was there he was approached to work for the State Department's black ops program. As the series begins, he has been away from Con Ops for five years during which time he has built up his own security company, CatsPaw Associates, to a point where he could charge just about anything he wants and get it because he has more clients than he has time to handle them. In the second book, his success and the substantial money it brings in, allows him to operating another company, this one not so well known, known as the Phoenix Foundation which he uses to to help former operatives shake their past lives and start fresh where old enemies and old acquaintances cannot find thim. Assisting him in this endeavor, just as she was there to help him in the first book, is Jessica Kincaid, his sometimes girl friend. Kincaid is smart, athletic, gorgeous, and one of the very best snipers alive. A billionaire philanthropist is held captive by a terrorist known as the Caliph who is planning to video his killing. His company turns to former operative Paul Janson. 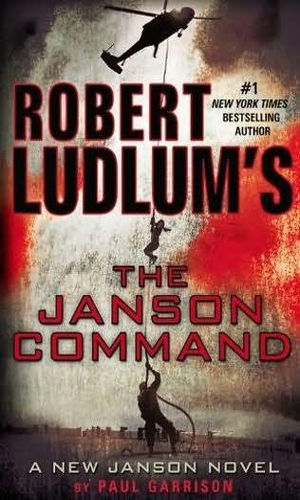 When the rescue go wrong, Janson becomes the fall guy and must uncover a conspiracy before losing his own head. Paul Janson is asked to help a physician who is being used as a pawn in Africa to bring about the overthrow of a dictator. Seeking to accomplish this, Janson runs afoul of numerous players including covert agencies who have their own agendas. 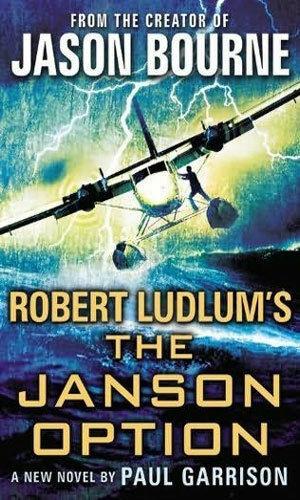 An oil magnate begs Paul Janson and Jessica Kincaid to help rescue his wife from Somali pirates. With that as the starting point in their war against the American Synergy Corporation, they soon find that the pirates are but the tip of iceberg in plots underway. A high ranking US Senator hires Paul Janson and his partner Kincaid to find his missing son, a man who had fled Seoul to avoid being arrested for murdering his girlfriend. As they work the case they are in turn being tracked by an assassin. I do not know who wrote the first of the books. 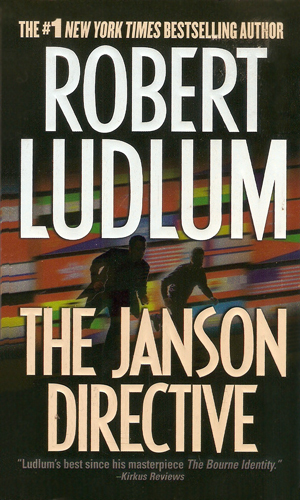 The cover indicates Mr. Ludlum was the author and he may well have been but since it came out a year after his too-soon departure, I am inclined to believe someone else wrote much of it. Whoever did performed a very good, albeit overly long, job. There were a tad too many twists and sub-plots going which is often the case with something that is intended to be a major thriller. The ending of the first book, when Janson confronts the major powers-that-be is a lot of fun but the last third of the book was hard to push through to get to the good conclusion. The second book has a significantly different feel to it, IMHO but it is a very good book to read. Janson remains an interesting character to follow but Jessica Kincaid really makes the pages shimmer. A beautiful female sniper is exciting on several levels, enough to make me think therapy might be in order. I really hope Mr. Garrison will continue this series. He and it are good enough to warrant more adventures.